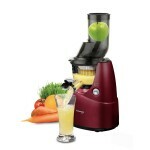 There are 11 essential vitamins in juicing vegetables and fruits which help the metabolic processes of the body, for example the metabolism of carbohydrates, fats and proteins to produce energy, the building up of the body proteins, the absorption of calcium for the gut and bones, the multiplication of body cells, and the formation of blood cells. Without the presence of these 11 essential vitamins and minerals we simply could not exist. 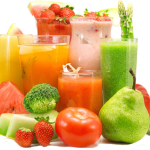 And what better way to absorb them, than through juicing power packed fruits and vegetables which our digestive system can very easily digest and metabolize! 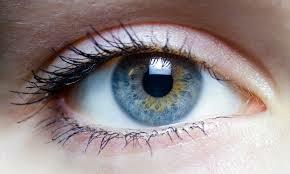 The vision vitamin, the deficiency of which has a marked effect on the eyes that can lead to blindness or xerophthalmia. 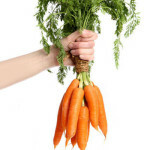 Vitamin A is found in animal foods or as carotene, which gives carrots their colour, in some vegetables and fruit. Carotene, which can be converted by the body into vitamin A, protects against cancers, in particular those on surface tissues, inside the lungs, and of the breast, intestines, stomach, bladder and skin. Vitamin A taken in excess in tablet form can be poisonous to the liver and cause damage; but carotene taken in huge excess can only cause a temporary orange coloring to the skin, which is not harmful, so this is the safest way to take vitamin A. Helps maintain the nervous system. For healthy skin, eyes, hair, and growth in general. 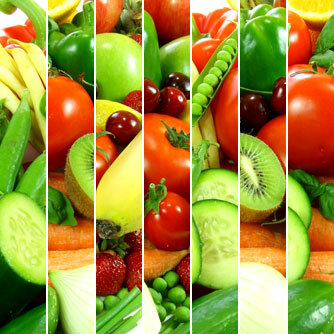 Like thiamine and riboflavin, niacin is involved in the process by which energy is released from food. Involved in the metabolism of amino acids and necessary to help make up the haemoglobin in blood. It is claimed that extra B6 can help relieve depression caused by the contraceptive pill and premenstrual tension. A mixture of several related compounds and needed for rapidly dividing cells such as those in the bone marrow from which blood is formed. 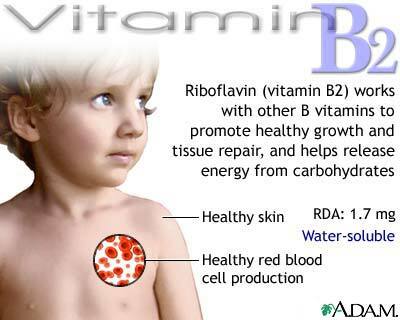 As it is found in animal foods it is customary for vegans to obtain their supply from plant ‘milks’ such as soya milk or yeast extracts that have been fortified with B12. Needed for rapidly dividing cells such as blood cells. 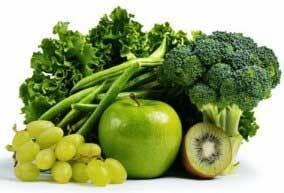 An increased intake is necessary during pregnancy. 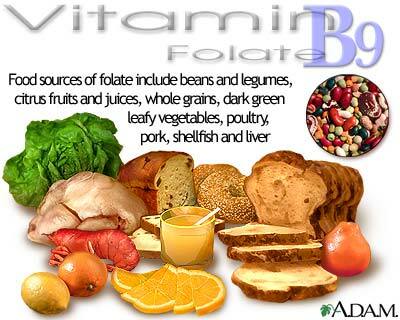 Folate is easily destroyed during cooking. 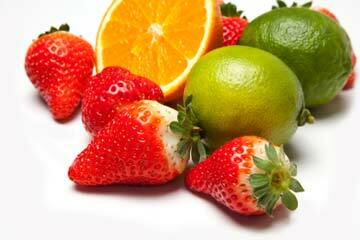 Vitamin C has a number of useful functions. It helps keep the structure of connective tissue healthy, and it enables iron to be more easily absorbed. It also aids recovery from illness and contributes to healthy bones, teeth, gums and blood vessels and inhibits a group of cancer-causing agents. 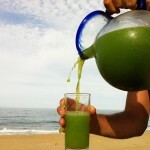 It is recommended to be increased by patients undergoing surgery, as it plays an important part in healing wounds and connective tissue (some hospitals advise patients to increase their daily dose by almost 10 times by taking 1 litre/lX pts/4_,X cups of orange juice a few days before the operation). An increase is also helpful for drug takers and smokers. Scientists have confirmed that overdosing is harmful and can cause excess amounts of oxalate (a calcium compound) in the urine, which can form stones in the bladder. Tablet overdosing can be harmful and the best course is to eat more fruit and vegetables, thereby getting the benefit of other vitamins and minerals. Potatoes are not a concentrated form of vitamin C, but because they are eaten in large quantities, they contribute a useful amount. Vitamin D is made in the skin on exposure to sunlight so it can be considered a hormone. It is needed to transport calcium from the blood into the bones and back again. 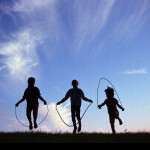 A level of calcium is essential for the action of muscles like the heart and to help the nerves to function properly. It is very easy to overdose in the tablet form, which can cause hypercalcaemia — too much calcium in the soft tissue — resulting in thirst, loss of appetite, nausea and vomiting and raised blood pressure. Vitamin E protects essential fatty acids from the destructive effects of oxygen. It is a natural anti-coagulant, aids reproduction, promotes healthy skin, and its anti-oxidant powers protect against heart disease and cancer. Found mainly in vegetables but also produced by bacteria in the gut. An essential vitamin for the normal clotting of the blood. Our bodies need these 11 essential vitamins every day to keep us functioning to our best ability. When these vitamins are lacking, this is where our bodies begin to suffer and disease sets in . All our millions of cells require fuel to keep them going and juicing is an easy and direct way to get this powerful burts of essential vitamin goodness without our body having to work hard to digest food.We have many wonderful healthy juicing recipes which you can become inspired by!